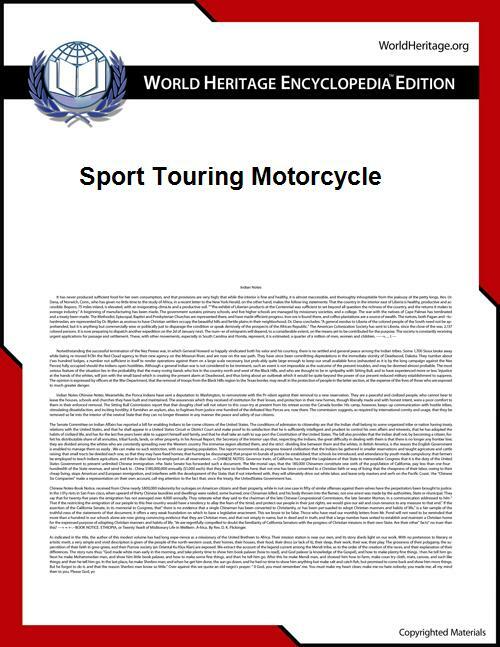 A sport touring motorcycle (sometime a "sports-tourer") is a type of motorcycle that combines the performance of a sport bike with the long-distance capabilities and comfort of a touring motorcycle. The first sport-tourer is said to be the fully faired 1977 BMW R100RS. Journalist Peter Egan defines the sport-tourer as a "café racer that doesn't hurt your wrists and a touring bike that doesn't feel like a tank," and identified the R100RS as the first example he owned. When designing a sport-tourer, some manufacturers make economies by using an existing engine, technology and tooling from their recent sport bikes, rather than creating a dedicated engine design from scratch. Sport-tourer engines could be detuned versions of its sport bike sibling, the emphasis becoming mid-range torque rather than peak horsepower. For example, the Triumph Sprint motorcycle shared its engine with the Daytona, Speed Triple, and Tiger models; and Ducati's ST4 sport-tourer used the 916's motor. The sport-tourer Aprilia SL1000 Falco used a detuned version from the Aprilia RSV Mille sport bike. As consumer expectations changed, some sportbikes were redefined (for marketing purposes) as sport touring bikes: the 2000 Kawasaki ZX-6R sportbike became the 2004 ZZR600 with just a change to a fairing bracket. On a sport-tourer, the fairing serves primarily for weather protection, but a sport bike fairing is to give high-speed wind protection. 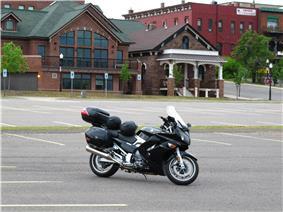 A sports-tourer has more a comfortable upright riding position. A sports-tourer's priority is straight-line stability, but a sport bike needs manoeuvrability; so a shorter wheelbase and a steeper steering angle are more suited to a sport bike. ABS and traction control are more common on sports tourers, as these features can be unwelcome on a sport bike. 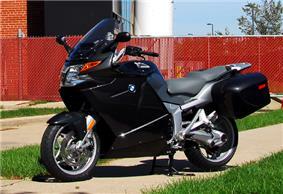 A sports-tourer may have a larger fuel tank to extend its range, and even a "fuel economy mode". A sport bike may have more ground clearance for better cornering. A sports-tourer will usually have superior luggage capability.